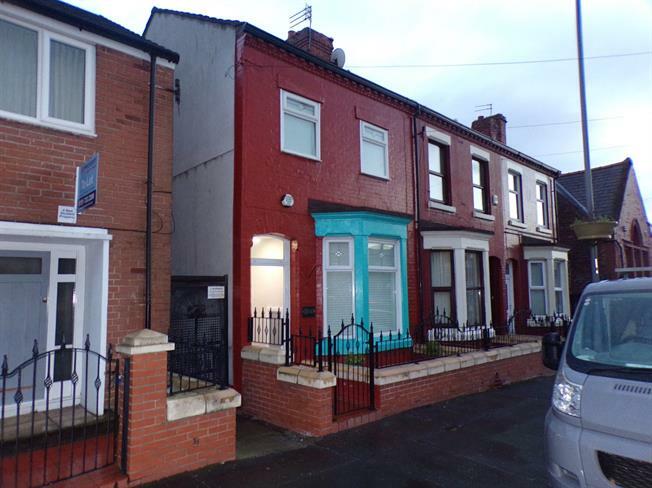 4 Bedroom Terraced House For Sale in Liverpool for Offers Over £185,000. Entwistle Green are delighted to welcome to the sales market this unbelievable opportunity with this fully refurbished and renovated terrace property that offers a magnificent yield. In brief, the accommodation comprises, an entrance hall, lounge to the front, dining/sitting room to the rear, kitchen, two high quality shower rooms, two double bedrooms to the first floor, a third bedroom to the top floor, double glazing and central heating. The quality of the finish is of the highest standard. Be very quick to arrange your viewing on this property as demand is extremely high. Please call 0151 220 4443 for more information. Double glazed uPVC window facing the side. Radiator, laminate flooring. Granite effect and marble work surfaces, fitted, bespoke, wall, base, wall and base and drawer units, stainless steel sink, single sink and with mixer tap with drainer, integrated, electric oven, electric hob, overhead extractor. UPVC double glazed door. Double glazed uPVC window facing the side. Radiator, laminate flooring. Granite effect and marble work surfaces, fitted, bespoke, wall, base, wall and base and drawer units, stainless steel sink, single sink and with mixer tap with drainer, integrated, electric oven, electric hob, overhead extractor. Double aspect double glazed uPVC windows. Radiator, carpeted flooring. Double glazed uPVC window. Radiator, vinyl flooring. Touch flush, single enclosure shower and power shower, pedestal sink and vanity unit, extractor fan. Double glazed uPVC window. Heated towel rail. Touch flush, single enclosure shower and power shower, vanity unit and wash hand basin, extractor fan. Double aspect double glazed skylight windows.